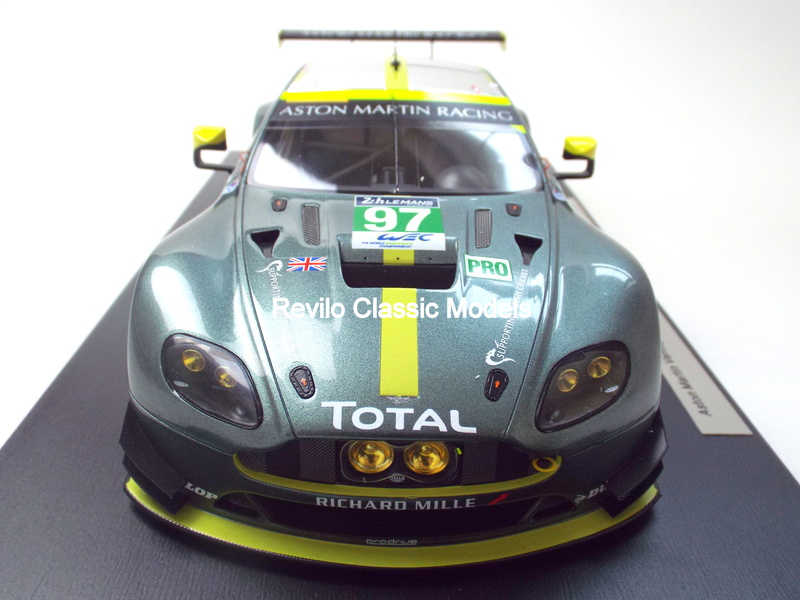 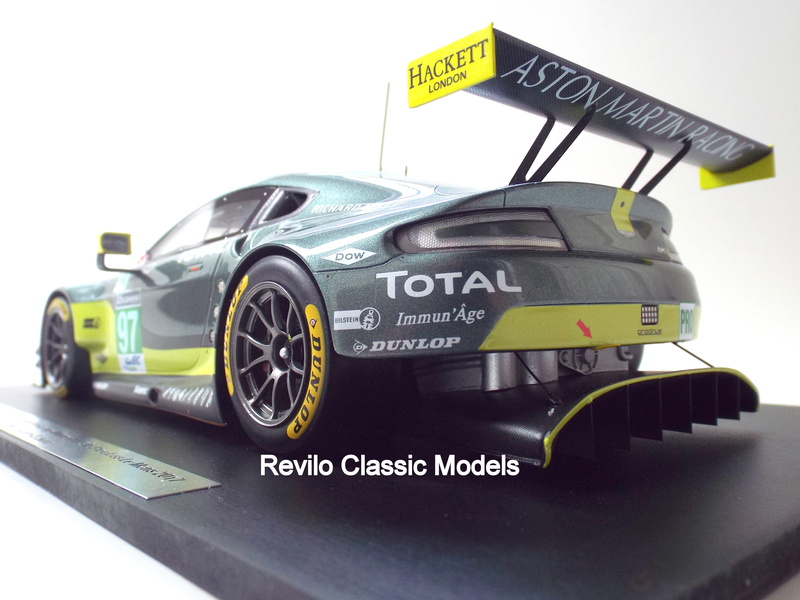 Spark Aston Martin Vantage GTE Le Mans 2017 1:18 scale. 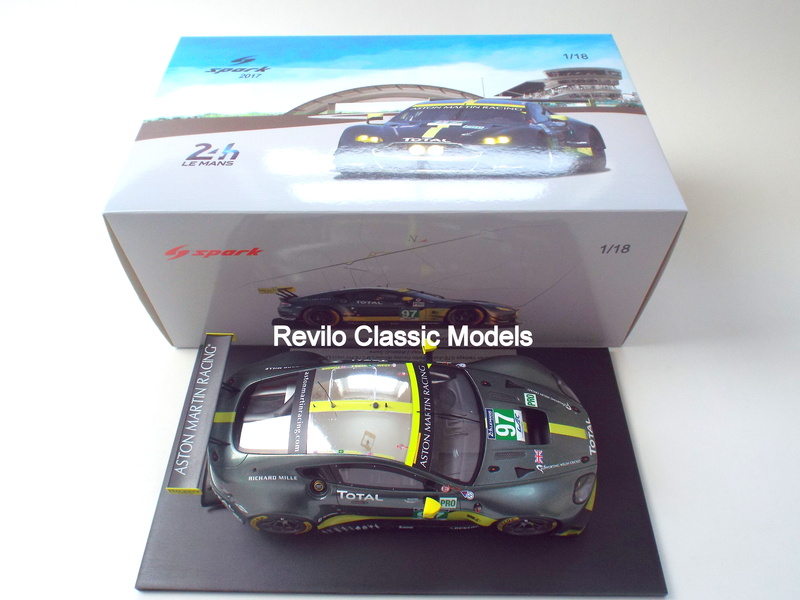 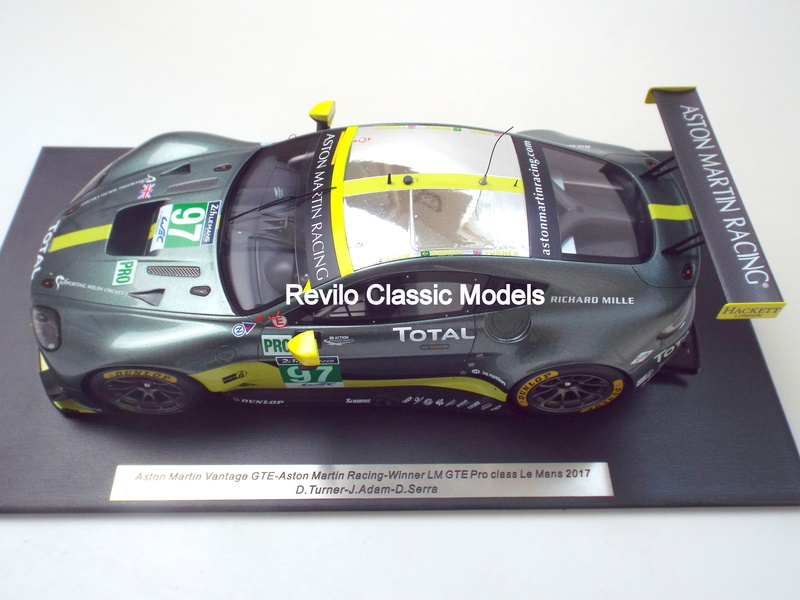 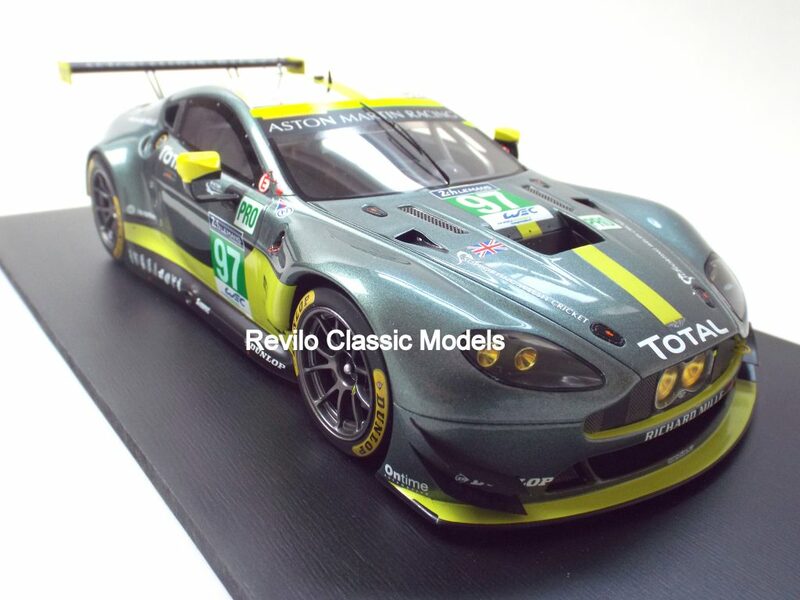 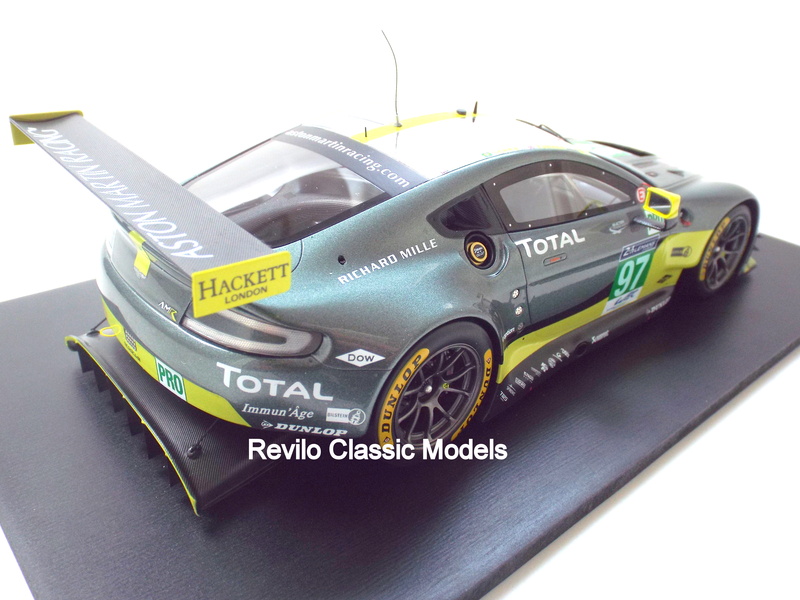 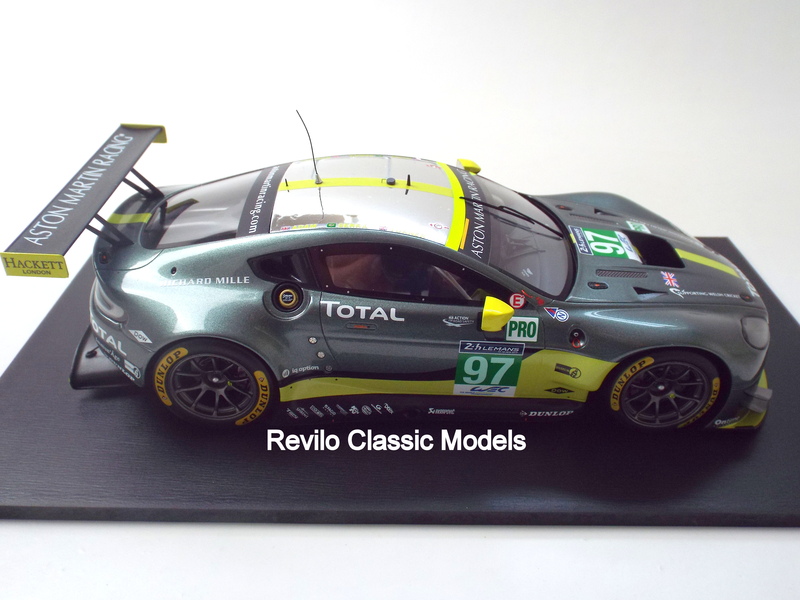 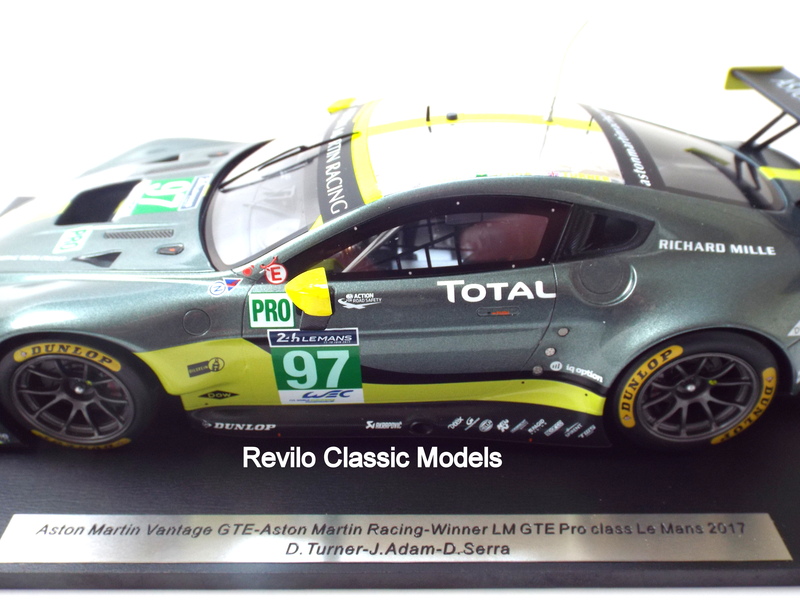 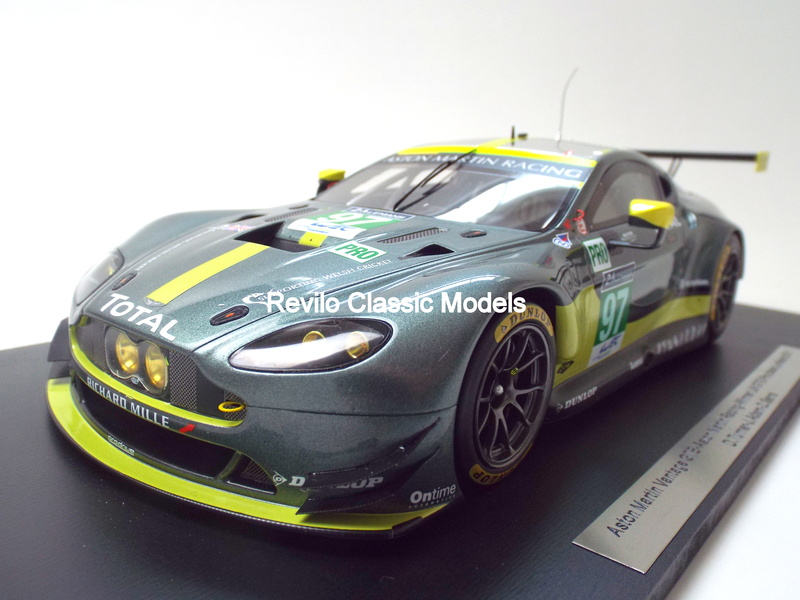 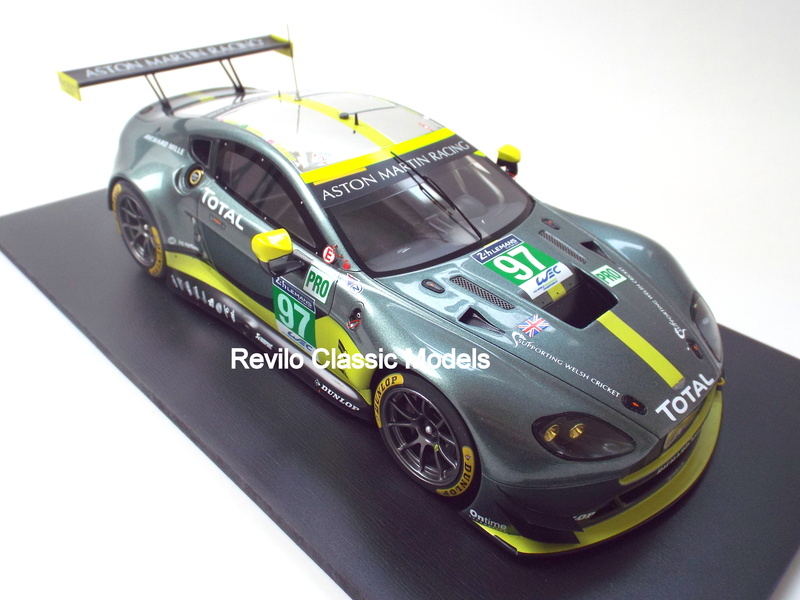 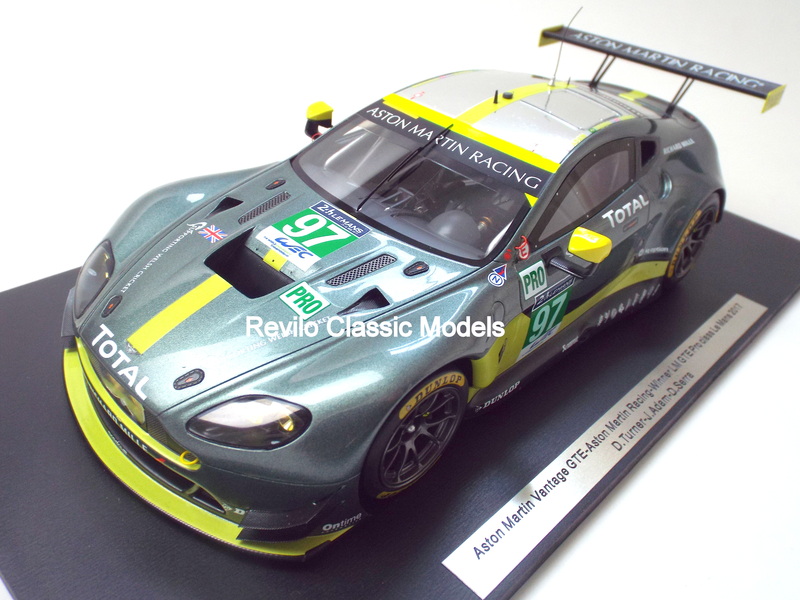 This is a superb quality ‘kerbside’ model by Spark of the 2017 Le Mans GTE class winning Aston Martin Vantage. 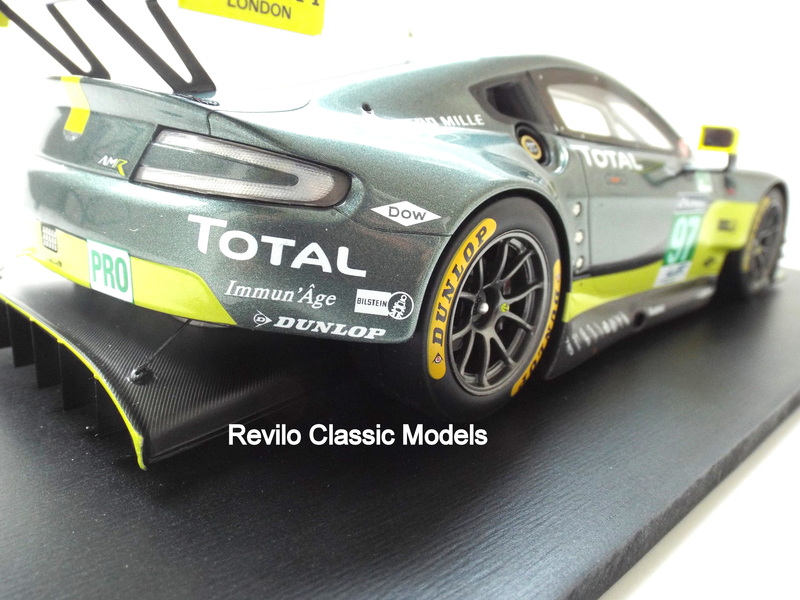 The last half hour of the race was gripping as the Aston battled it out with the yellow Corvette. 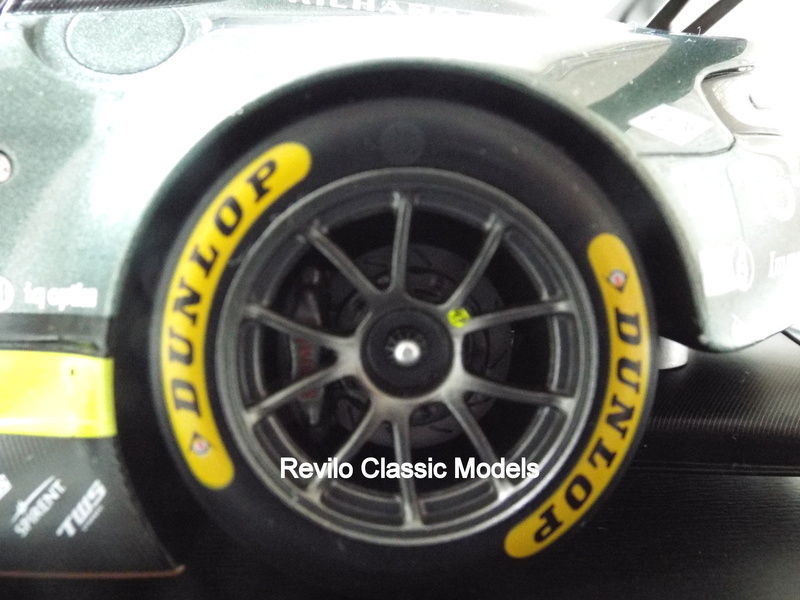 The Aston looked for a way past but in the end the Corvette missed a corner, and got a slow puncture, allowing the Aston to get passed and take a stunning, historic win. 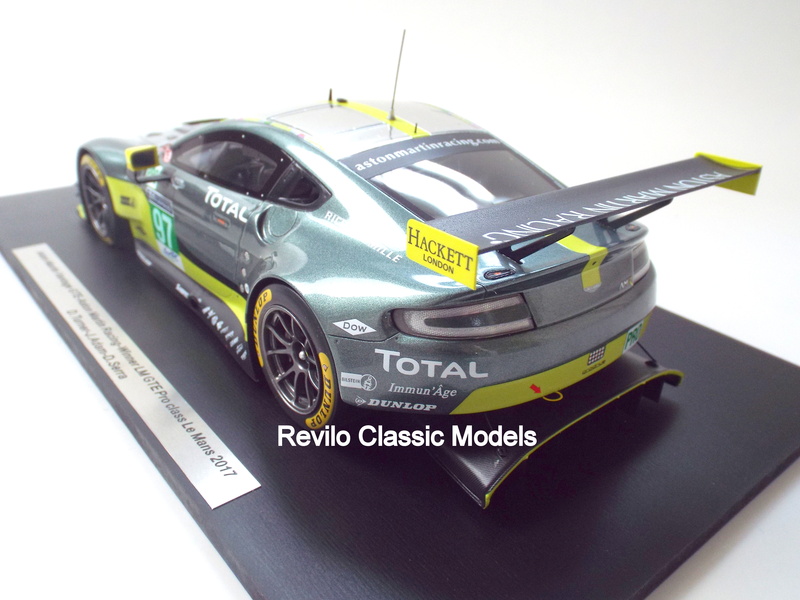 The model sits on a slate effect base with a plaque detailing the model and the class win. 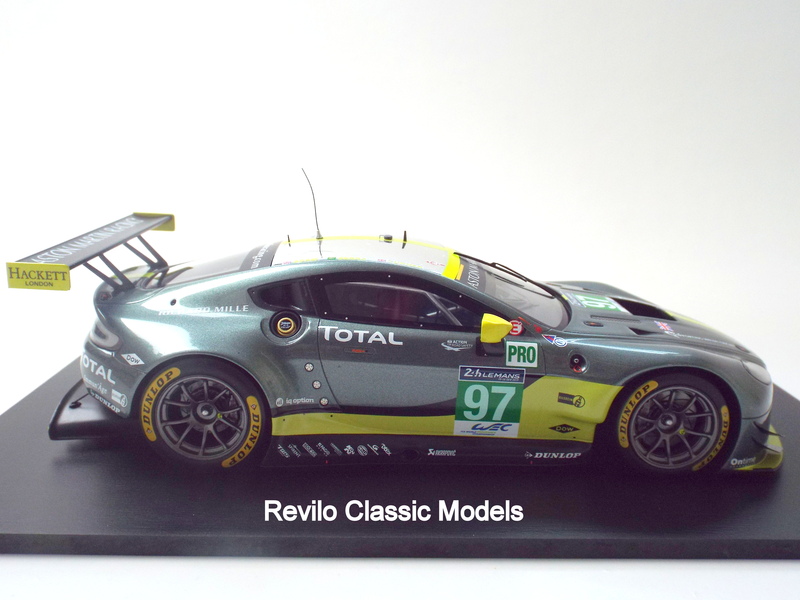 Very popular model already sold out with the manufacturer.